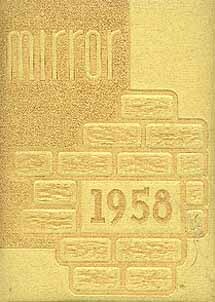 Now everything you wanted to know about the IHS Class of 1958 is at your fingertips....as published in the 1958 Mirror Class History. Frank W. Jennings, Jr., IHS 1958 71, Professional Engineer passed away on Monday, January 11, 2016. Frank was born on July 14, 1940 in Ilion, the son of the late Frank W. and Helen Goodman Jennings and was a graduate of Ilion High School. After high school, Frank continued his education, receiving a Bachelor of Arts degree in Mathematics at Utica College. He immediately entered the United States Air Force and attended Air Force Officer Training School ( Class 62-G), being commissioned a 2nd Lieutenant in May of 1962. He was then assigned to Pennsylvania State University to pursue a Bachelor of Science degree in Meteorology. Upon receiving that degree, he was reassigned to Barksdale Air Force Base in Shreveport, Louisiana to provide weather forecast services to the Strategic Air Command. 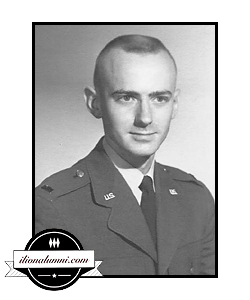 Frank served his country during the Vietnam War with the Air Force as a 1st Lieutenant at the Barksdale Forecast Center, providing weather forecast services to one-third of the Strategic Air Command in the United States. Barksdale was the first base to send B-52 bombers to Guam during the Vietnam Conflict. After early release from the Air Force in June 1965, Frank returned to school at the Georgia Institute of Technology, receiving a Bachelor of Civil Engineering degree. He then worked for approximately 1 year for the Lane Construction Corporation. Frank then began an approximately 30 year career with the New York State Department of Transportation. During his 30 year career, Frank worked on many road and bridge projects including supervision of the New York State Canal System from early 1977 to early 1997 until that unit's transfer to the New York State Thruway Authority. Upon retirement, Frank served as the Town of German Flatts Codes Enforcer, acting Village Engineer in Ilion, Engineering Consultant for the Ilion Water Commission, operated Hilltop Orchards for over 30 years, and currently Hilltop Orchards LLC- Property Management. He rebuilt the Canadarago Lake Boat Launch and over five miles of Route 28 from Richfield Springs to Schuyler Lake Village. He thoroughly enjoyed being Resident Engineer on the thruway interchange bridge replacement at Westmorland and the two years spent doing State Mandated Grabler Law bridge inspections. As a young man, Frank worked for the Herkimer Bowling Center for over 8 years as a mechanic on automatic pinsetters during high school and college, and thoroughly enjoyed the sport of bowling. He was a member of the Church of the Annunciation, Ilion and the Mohawk Valley Towns Board Association Board of Directors from Spring 1991 to Spring 1992. Frank enjoyed working on the 3 million dollar renovation of the Rome Justice Center. "Joanne is working part-time at a hobby & craft shop and lives in Medford, Long Island, NY."